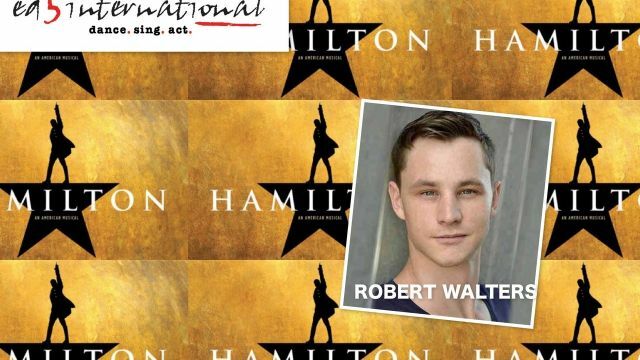 Rob Walters is a cast member of Chicago production of Hamilton: An American Musical. The first graduate of ED5INTERNATIONALto perform in musical theatre in the US, he explains his unlikely career. The funny thing is this isn’t something I knew I wanted to do; I never had huge aspirations of being onstage. What I did have was guidance, intense leadership and a mental capacity to push myself beyond my limits, to improve myself and become stronger than when I started. This is what ED5INTERNATIONAL gave me. I didn’t even attend the open auditions; I didn’t even know about ‘full time’ dance courses. I finished High School, and my class mates mentioned they were going to attend ED5INTERNATIONAL and dance five days a week. So, to not be alone and do something with myself, I emailed in and attended a private solo audition. William and Elena (the Course Directors) and myself were alone in a room. They sat behind a table. I was clueless. I had no idea what I was really auditioning for, but, luckily for me they accepted me into the program which a few weeks later would change my life. My year at ED5INTERNATIONAL included so many key factors that shaped my life as a performer and my mentality and approach to life. They fueled a fire to keep me driven, on a path that meant growth, development and progress was a daily ritual. Never allowing myself to disappoint my mentors and teachers, each day I pushed myself harder. If William yelled at me. I worked harder. I worked smarter. I found a way to be better than I was the last time he saw me. This is the principle that he engraved in my very soul, not because he was mean, but because he truly believed that you had more to give. The hours, the styles, the time taken stretching, they all mean nothing without intent and direction behind them. ED5INTERNATIONAL gave me all the tools I needed to apply for myself for the future, not just the months spent in the studios in North Strathfield; it gave me knowledge and understanding of how to succeed every time I took class, audition or the time I stepped on stage. I love, and I truly mean love, every single moment I spent at ED5INTERNATIONAL. It’s my home. I have been lucky enough to not have time to go back for a number of years because honestly, I’ve been pursuing what are now my dreams. Rob Walters graduated in 2008. 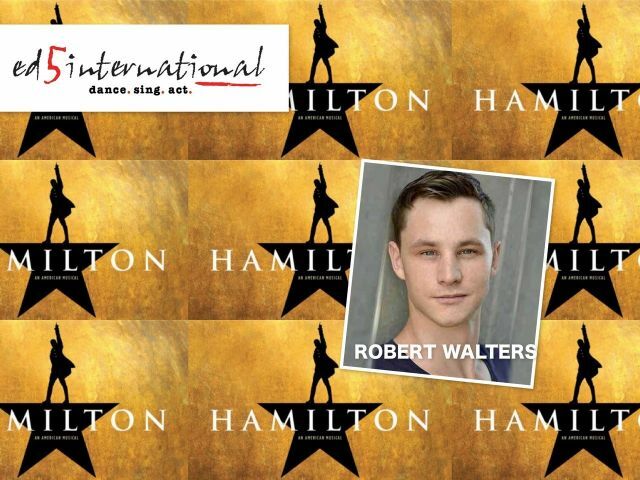 Rob is one of hundreds of ED5INTERNATIONAL graduates working in every entertainment quarter in the World.